Brussels security has delayed Saint Nicholas’ traditional Christmas welcome by school kids. St. Nicholas is the traditional bearer of Christmas gifts in much of continental Europe. 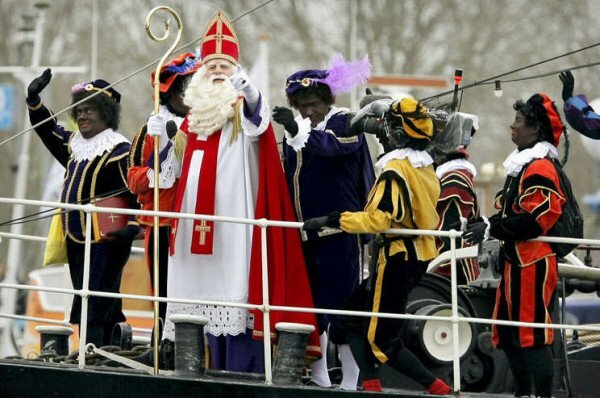 Heightened security has delayed St. Nicholas’ arrival in the Belgian capital from November 30 to December 4, Visit Brussels says. Saint Nicholas, similar to Santa Claus, had been due to land by steamboat at Peniches Quay on Monday morning, November 30. He will distribute sweets and hot chocolate in a decorated marquee. St. Nicholas will be “welcomed in style by a crowd of impatient children” along with Rudi Vervoort, Premier of the Brussels region, Visit Brussels reports. All schools in the Brussels area had been invited to take part, but the event was canceled last week as the terror threat level was still at four – the highest – following the Paris attacks on November 13. The threat level, which curtailed a range of activities in Brussels including school outings, has since been downgraded to three. Visit Brussels, the organizers, gave details of December 4 welcoming ceremony. Previous years have included face-painting contests with a prize presented by Saint Nicholas. Traditionally St. Nicholas leaves presents for children on December 6 in return for a glass of milk.